So I’ve been body brushing for just over a month now and within this short period of time I’m already noticing some great changes in my skin and my body in general. I’m sure you know that the skin is the largest organ of the body. It receives a third of all the blood supply circulated in your body, it is the last to receives nutrients, and yet the first to show signs of imbalance or deficiency. Dry skin brushing is one great way to start looking after your skin and body. To find out how I look after my skin watch my video below. 1. Removes dead skin cells– exfoliating your skin allows new cell renewal which will result in smoother and brighter skin. If you have a problem with ingrown hairs, brushing regularly will clear clogged pores reducing this annoying after-shave symptom. 2. Reduces the appearance of cellulite– increasing blood flow to the skin helps to break down the fat deposits and toxins that ultimately result in cellulite! 3. Great way to detox!– your lymphatic system is the system responsible for eliminating cellular waste products and aids in digestion and kidney function. When your lymphatic system is not working properly, waste and toxins can build up and make you sick. 4. Unclogs pores– helps your skin absorb more nutrients. Daily skin brushing promotes healthy, breathing skin. 5. Therapeutic!- It simply feels good, and it’s a great and affordable way to treat your skin. Your back is the only exception to the rule; brush from the neck down to the lower back. After brushing your skin can absorb the good stuff easily so make sure to moisturise your skin with natural oils and butters to lock in moisture and nourish your skin–Monoi de Tahiti Luxury Butter from the Nakayi Collection is perfect! Click HERE to get yours. As seen in my video there are two kinds of brushes, small hand held and a long handle. There are brushes available that come with a detachable long handle so 2 in 1! I just prefer having two separate brushes.. Drink lots of WATER to help your body flush out the toxins! The bristles should be natural, not synthetic, and preferably vegetable-derived. The bristles themselves should be somewhat stiff, but not too hard. Wash your brush with soap and water once a week and let it dry in an open area to prevent mildew on your brush. 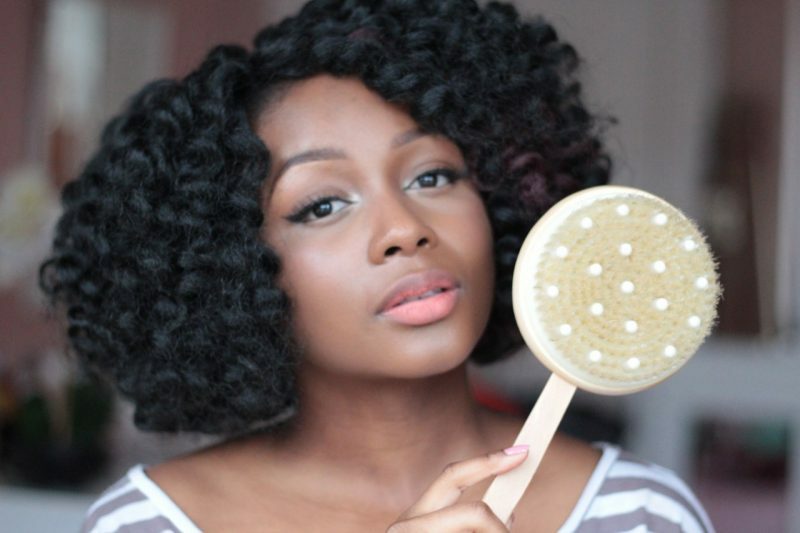 Skin brushing should be performed once a day, preferably first thing in the morning. 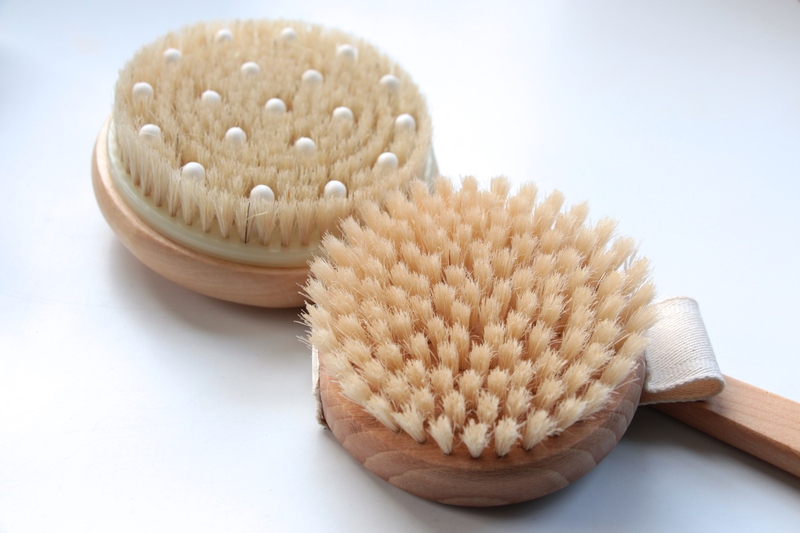 A thorough skin brushing takes about 15 minutes, but any time spent brushing prior to showering will benefit the body. If you are feeling ill, increasing the treatments to twice a day is good. The winner will be announced on the 5th of January! Open Internationally!